Kulayan focuses on modern, organic and natural clothing for women of all ages! 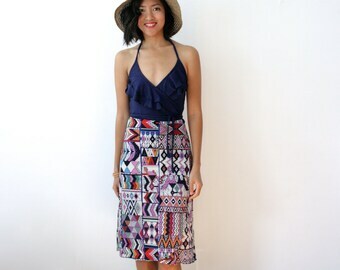 Our signature bamboo, organic cotton fabric loans well to our hip hugging, shirred pencil skirt! Stretchy but fitted, this skirt features a strong elastic waistband and lots of side seam shirring. It's easy to dress up or dress down! Convo us your email address to receive occasional newsletters with exclusive discounts!. Stretchy but fitted, this skirt features a strong elastic waistband and lots of side seam shirring. It's easy to dress up or down! finally got my size right! extremely comfortable and look perfect under clothing! not going anywhere else for my undies !